Tic Tac Trance #035 Replay available! 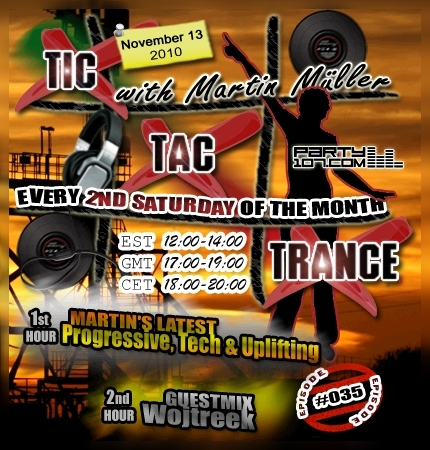 On November 13, 2010 episode #035 of Tic Tac Trance will air on Party107.com! This time I’m glad to announce that Wojtreek will handle the guestmix in the second half of the show. He’ll spin uplifting trance with an little amount of psy-trance surprises. My own trance set in the first half of the show will include a mixture of progressive, techy and uplifting tunes by artists like Maor Levi, RAM, Indecent Noise and many, many more!